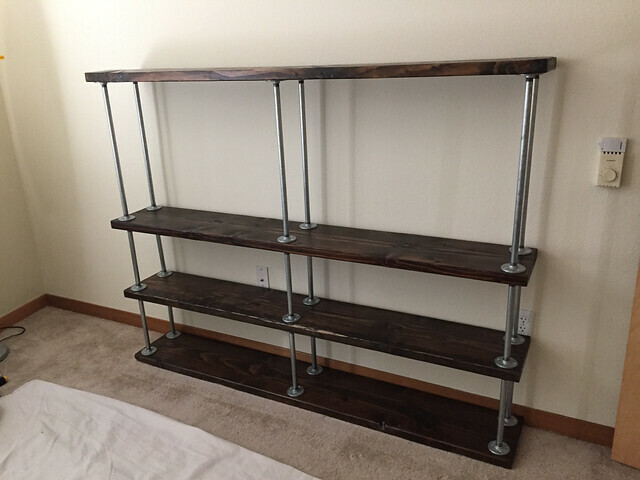 The Pipe Bookcase is a industrial modern style metal pipe and wooden board bookcase. 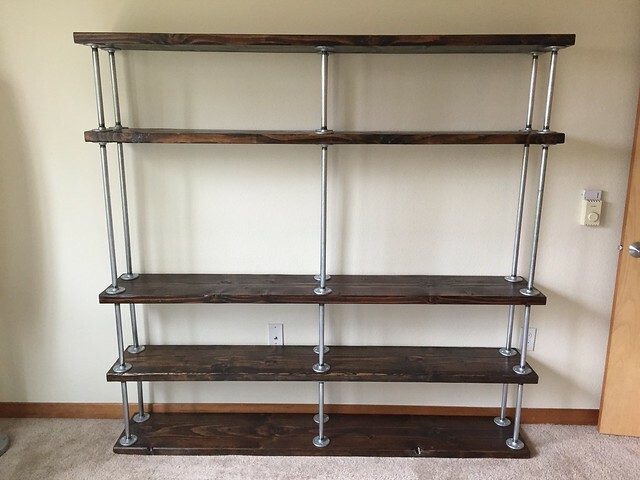 I needed to make more room without relocating and the best way to do that was to build vertically. 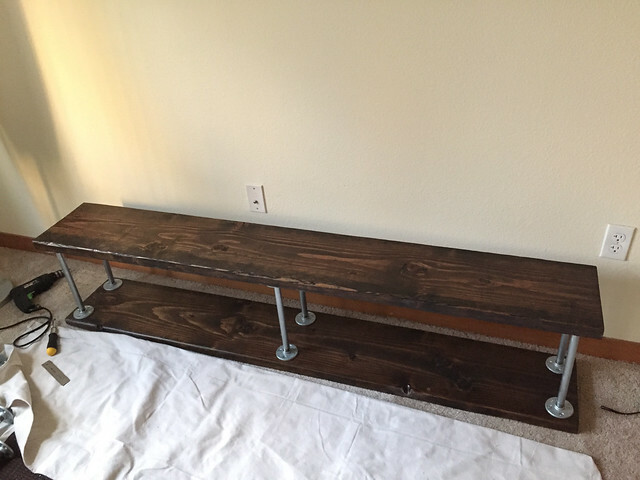 The Pipe Bookcase was built to be big and sturdy. I fear the day should I ever need to relocate. 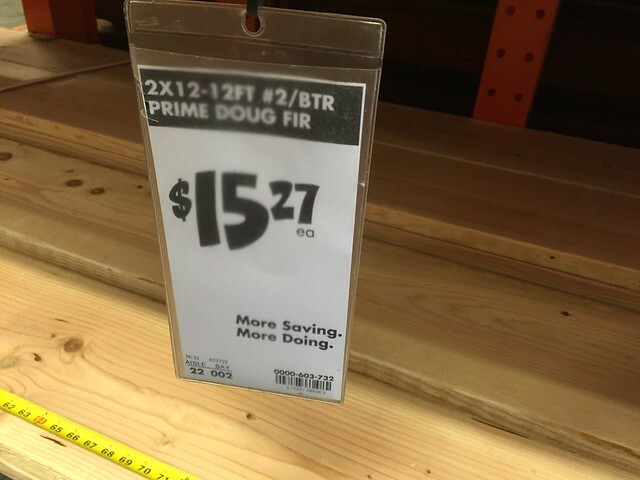 (x3) Home Depot 2x12-12ft Prime Doug Fir (dimensions: 144.375" x 11.5" x 1.75"). 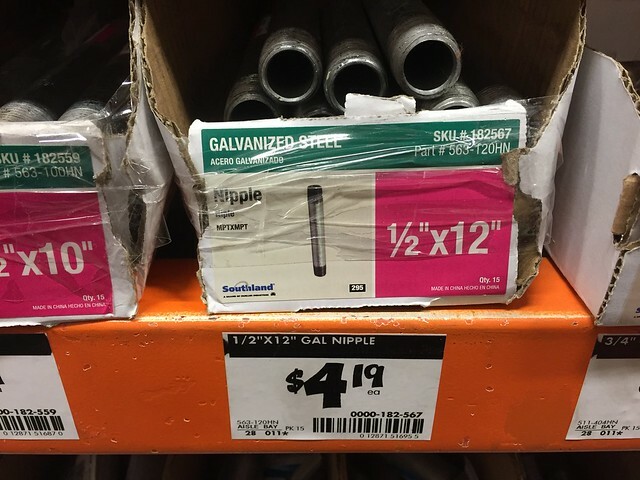 These can be cut into two 72.1825" boards at Home Depot. This will leave you with one extra board. Pick your ugliest board. 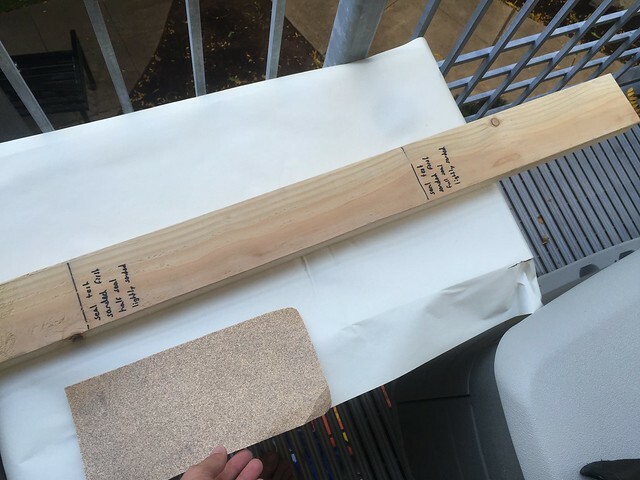 That will be your test board. Follow Lowe's Instructional Video below on how to clean your metal pipes. 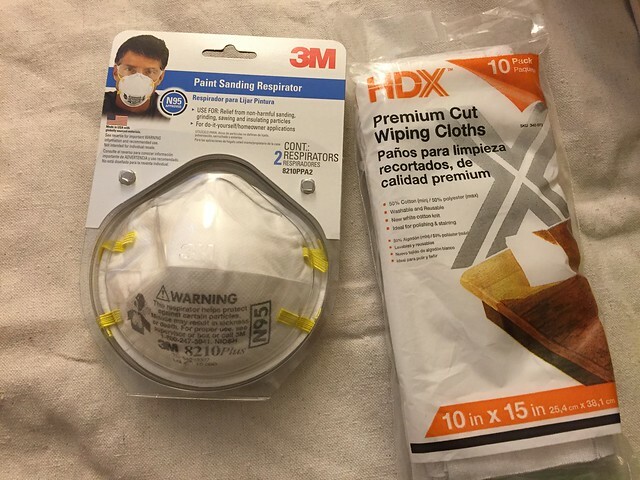 Begin by donning thick rubber gloves. 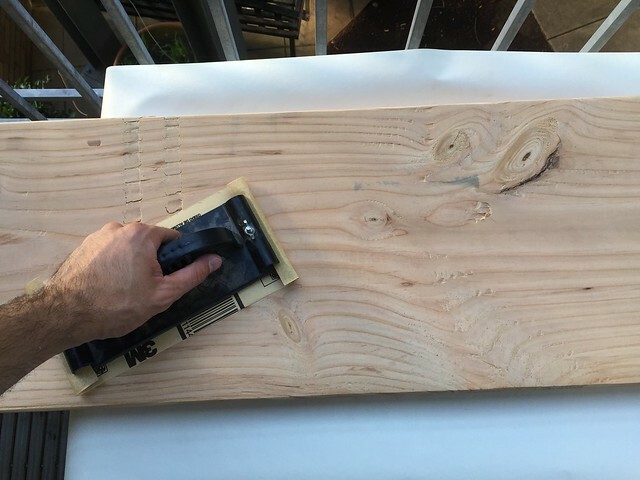 Use the putty knife to remove any stickers. Use mineral spirits and scrub sponge to remove sticker residue. Use the 5 gallon bucket to soak your pipes in ~0.5 cup trisodium phosphate / 2 gallons of water. Then scrub with scrubber pad to remove grease. Each pipe gets two flanges. 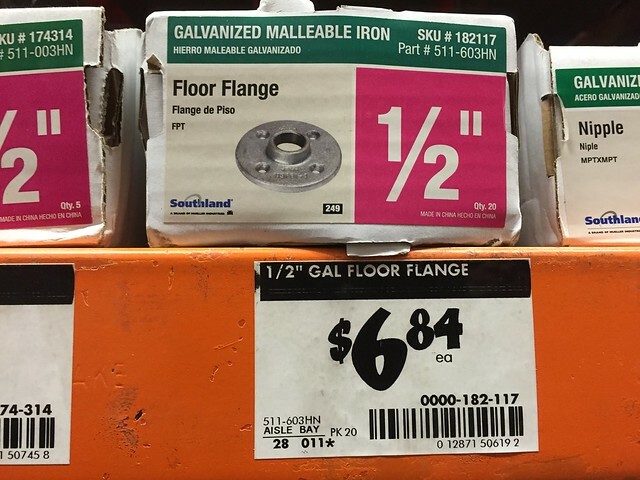 For a level shelf you want each flange-pipe-flange stack to be as close as possible in length. 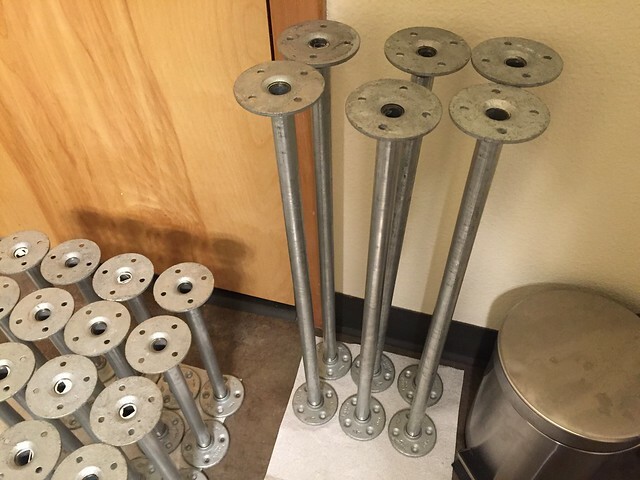 I made a few loosely connected stacks and measured their lengths to find an agreeable length of 12.4375" for the short stacks and 24.3125" for the long stacks. 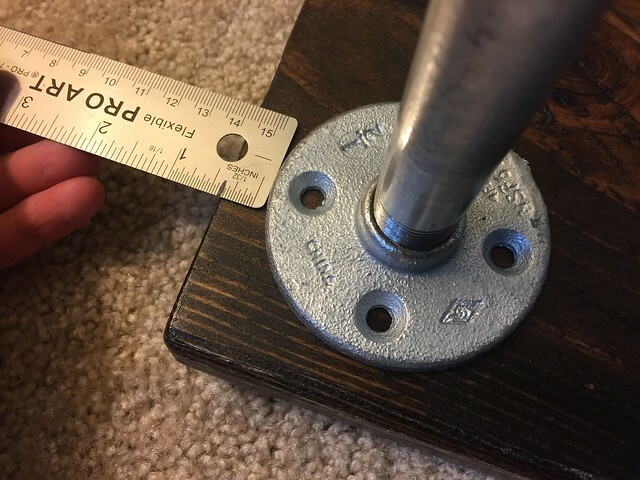 With lengths determined, connect the flanges using seal tape for a tight fit. Measure, adjust, repeat. I left my pipe unfinished for greater contrast with the dark wood. 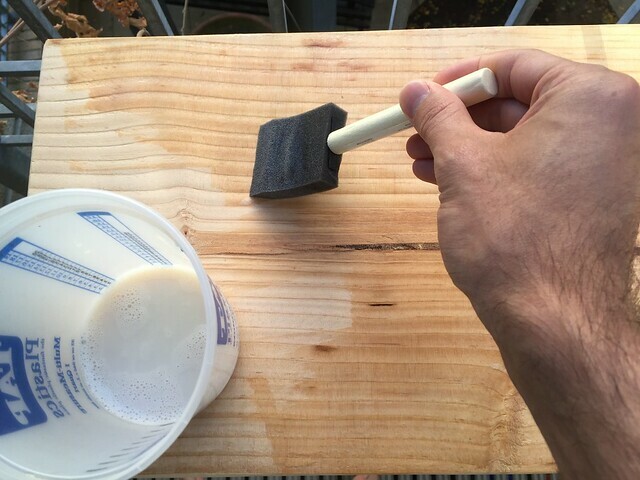 Still, to help protect against the elements, I sprayed my pipe with concrete sealer. 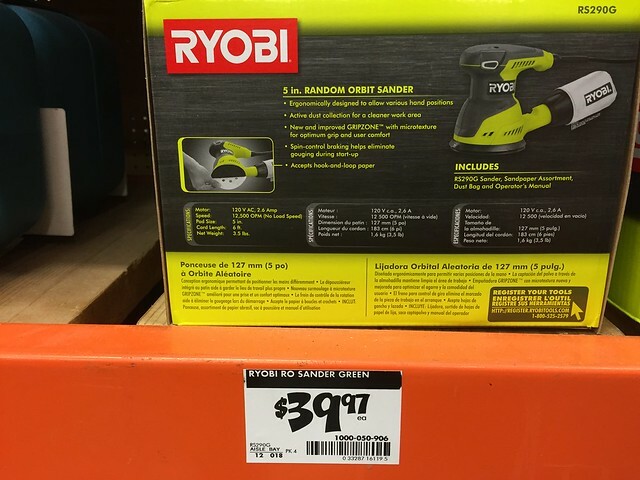 Follow the instructions on Handyman and divide the test board into different sections. Each section receives a different style combination. 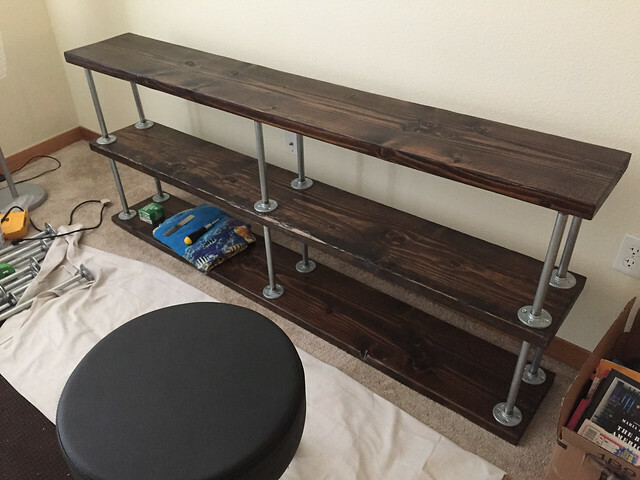 I wanted a dark walnut style to contrast with the bright metal pipes. 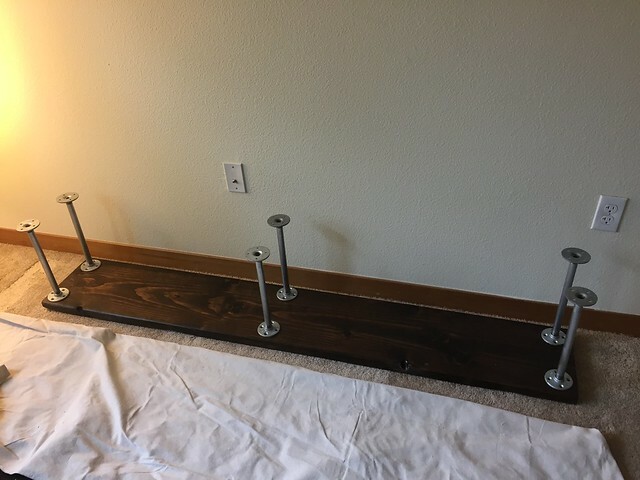 I decided on the following: orbital sander, 1 part seal mixed with 1 part water, lightly hand sanded with 220 grit sand paper, dark walnut stain, dark walnut oil, and polyurethane. 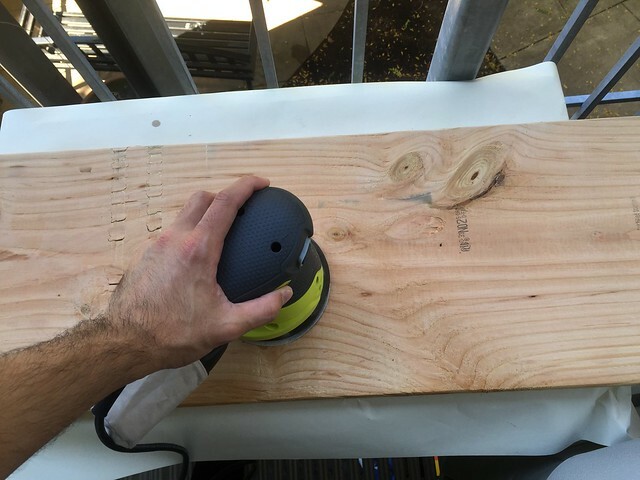 The orbital sander smoothens the rough Doug Fir. 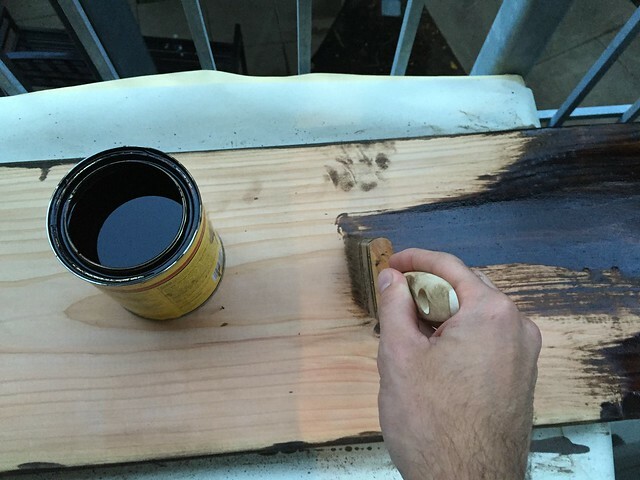 The seal creates an even surface so the stain won't look blotchy. 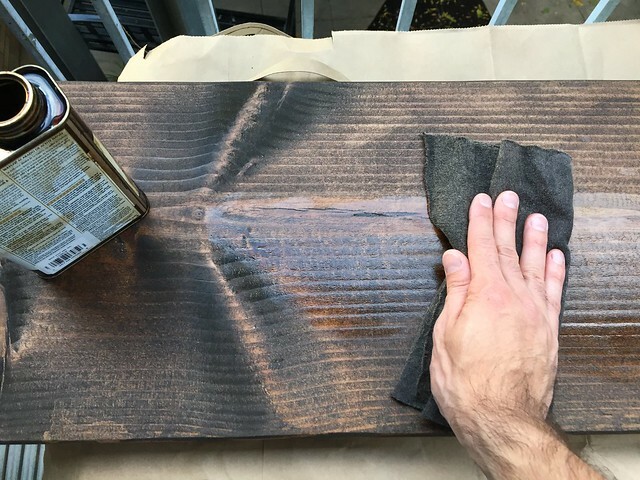 Lightly sanding by hand removes some of the seal for a deeper stain. 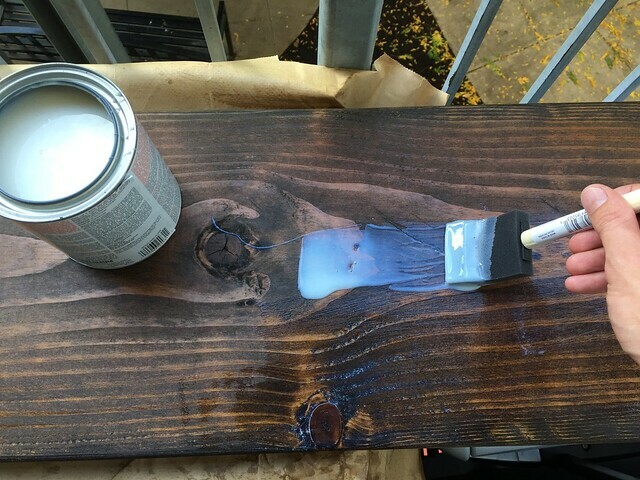 Dark walnut oil adds a little color and shine. 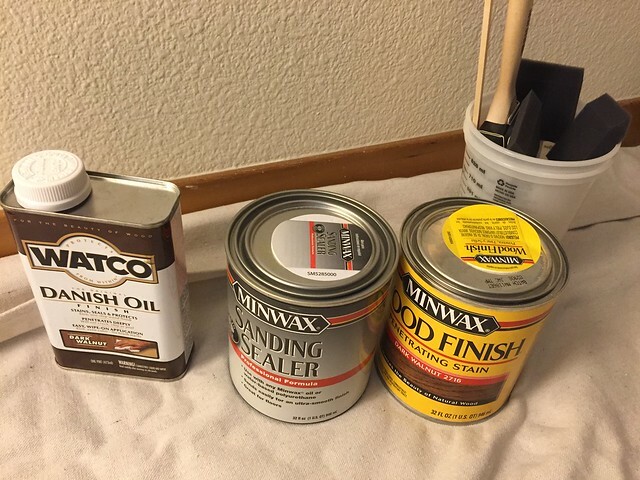 Polyurethane creates a protective coating. With your style combination in mind, style your remaining boards accordingly. 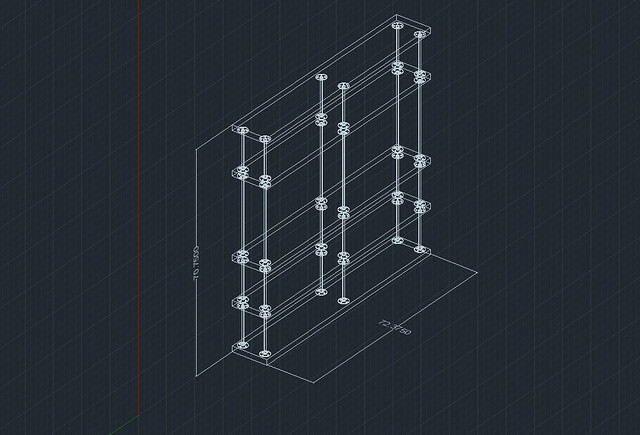 Following the below AutoCAD schematic, assemble your bookcase. I placed each flange-pipe-flange stack 0.5" from the board edge. Use the screwdriver to set each screw. Once set, use the drill to finish screwing. The second to last shelf, I came across a problem. 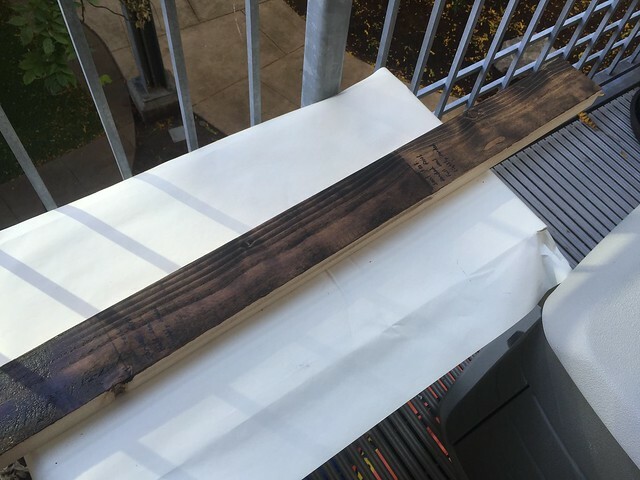 The wooden board was warped. This was further amplified by the pipes. 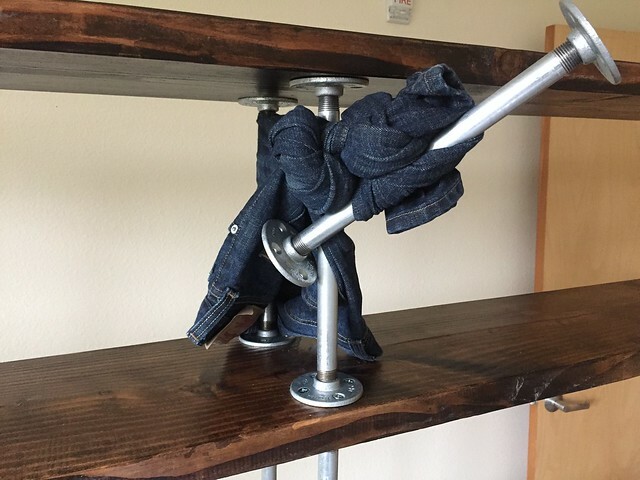 Using an old pair of jeans and another pipe, the pipes were slowly drawn into alignment. 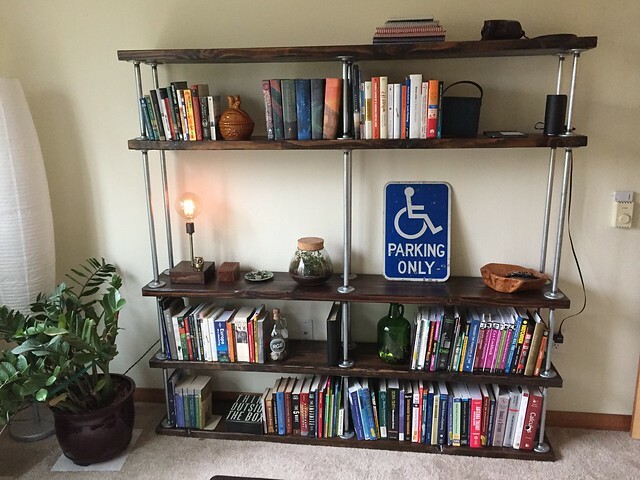 Populate your bookcase with things...and books.